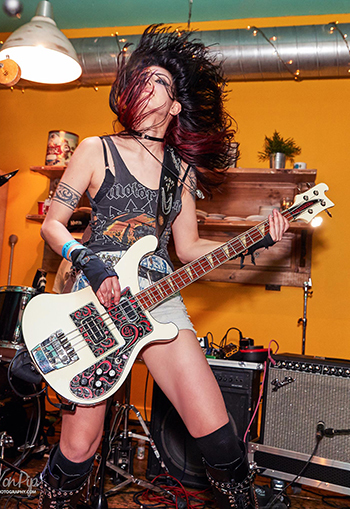 Fronted by scream-queen Lauren Tate, South Yorkshire four piece Hands Off Gretel strut a cheeky, sugar-coated mix of heavy garage rock, grunge, and pop rock influenced by the likes of Nirvana, No Doubt and PJ Harvey. 2018 saw Becky Baldwin joining the band to form a solid, high energy force to be reckoned with. Hands Off Gretel released their debut album ‘Burn The Beauty Queen’ in 2016, all merchandise can be found on their online store. The band have already toured the UK and Europe, and performed at prestigious events such as Download and Isle of Wight festivals. The band are currently gearing up towards releasing a new album in early 2019. FURY are a British heavy metal band who deliver expansive, panoramic and beautiful arrangements, capable of transporting you to alternate and fantastical universes. The potent mixture of Julian’s soulful, yet powerful, vocal combined with a brilliantly talented band will push all the buttons for fans of any genre of music- and with many years of live experience between the group, Fury guarantee an energetic, engaging and thoroughly fun live experience for all! Becky joined Fury in the winter of 2017 after a highly successful UK tour. Dorja are a brand new transatlantic hard rock band. The five members from England, Belgium and Kazakhstan met together for the first time in May 2016 in Los Angeles after months of writing collaboratively in online sessions. They recorded their debut demo track with Erich Gobel (Black Sabbath, John Mayer, Ray Charles) at West Triad Studios in California, created by Mark Schulman (Pink). Their debut EP ‘Target Practice’ was self-released on 31st March 2017 and is available to purchase from the band’s website. 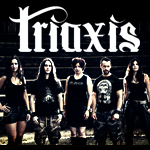 Triaxis are a heavy metal band from South Wales, signed to Rocksector Records. Becky joined their ranks in June 2014, but the band’s success has been growing since their formation in 2006. Their three released albums have been received with critical acclaim and have taken them to shows all over the UK and into continental Europe. 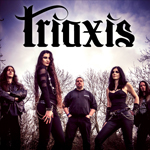 Since Becky joined Triaxis, the band have performed Bloodstock 2015 on the Sophie Lancaster stage and have impressed fans and critics far and wide with their third album ‘Zero Hour’. To record this release, money was raised using a crowdfunding campaign on PledgeMusic with overwhelming success thanks to their dedicated fan base; the target amount was reached within 9 hours of the pledge going live, and over the subsequent months they raised in excess of 200% of the original target. To order your copy of the album online, click here. 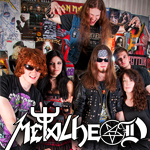 Metalhead are Bristol’s top heavy metal and classic rock cover band featuring Chris Hawkins [One Machine, Endeavour] alongside some of Bristol’s best upcoming metal musicians. They formed in 2009 to bring the best high octane anthems to pubs, biker rallies, parties and even weddings all over the UK. Performing the music of bands such as Iron Maiden, Guns N Roses, Black Sabbath, Def Leppard, Motorhead, Metallica, Deep Purple and many more.